Getting the most out of your car's heater might involve counterintuitive practices, such as turning on the air conditioner to prevent foggy windows. Here are some other tips. 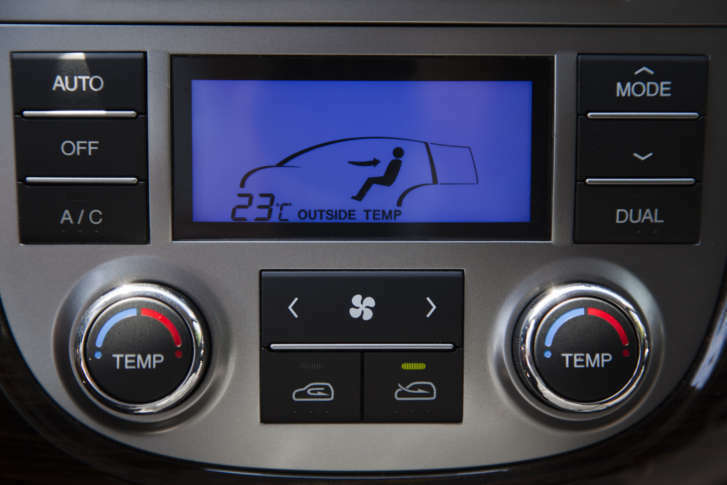 WASHINGTON — Getting the most out of your car’s heater might involve counterintuitive practices, such as turning on the air conditioner to prevent foggy windows from limiting visibility. Also, don’t recirculate. Air recirculated through the cabin likely holds more moisture than fresh air coming in from the outside because people exhale water vapor, Linkov said. To help clear the air when there are lots of passengers in the vehicle exhaling water vapor, Linkov suggests cracking open a window. Turn the key on most modern, conventional gas and diesel cars and you can safely drive away in five or six seconds — even in extreme cold. To help heat get beyond the front seats: adjust air flow toward your feet where it can push back underneath seats. Also, tilt top vents toward the ceiling so warm air can flow toward the rear. Unlike your car’s air conditioner that uses a separate compressor, heat that circulates through the cabin comes from the car’s engine. So, Linkov said, use the heat as much as you want.